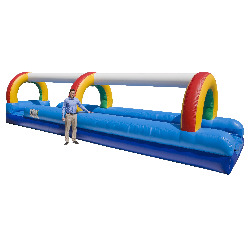 Cool off with this deluxe 35 foot slip n slide. 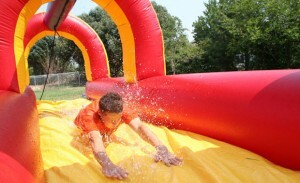 Kids slide down safely over 2 feet over the ground while misters keep things slick all the way down. Add a sno-kone machine for the best hot weather party ever!